Life decisions are big. They can change your life, of course. So when you are getting ready to make one of these big life decisions, it is helpful to look to those who have made the same decision before you and can offer insight on what to expect. First, let’s get to know Rebecca a little bit better. 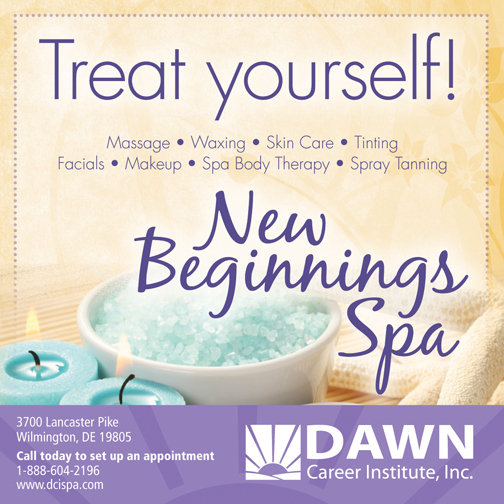 at Dawn Career Institute focuses on a holistic approach to healthcare and opportunities for alternative healthcare practices through intensive massage therapy training. Training in human anatomy and physiology, kinesiology, medical terminology, health benefits of massage, and pharmacology for massage therapists is part of each student’s course responsibilities. personal training by providing hands-on, physical training. Personal fitness trainers are often tasked with performing exercise-related assessments, designing safe and effective fitness programs, and implementing safe weight loss and/or weight gain programs. With these program descriptions in mind, we asked Rebecca what was one of the biggest benefits of both the Massage Therapist and Personal Fitness Trainer programs at Dawn Career Institute. Some of the medical benefits of massage therapy can include relief from anxiety, headaches, insomnia related to stress, soft tissue strains or injuries, sports injuries, and joint pain. Massage therapists are not limited to one professional environment but can work in a variety of settings like Rebecca does, including physicians’ offices, chiropractic clinics, health and medical spas, physical therapy or medical clinics, athletic or sports clubs, beauty salons, and more. Personal fitness trainers can find employment in fitness centers, physical therapy facilities, spas, universities and collegiate athletic programs, corporations with health and wellness programs, or become self-employed. Thanks to Rebecca for sharing her experience at Dawn Career Institute as a graduate of the Massage Therapist and Personal Fitness Trainer programs. If you are ready to make a big life decision and enroll in one of these programs, please contact Dawn Career Institute today for more information!